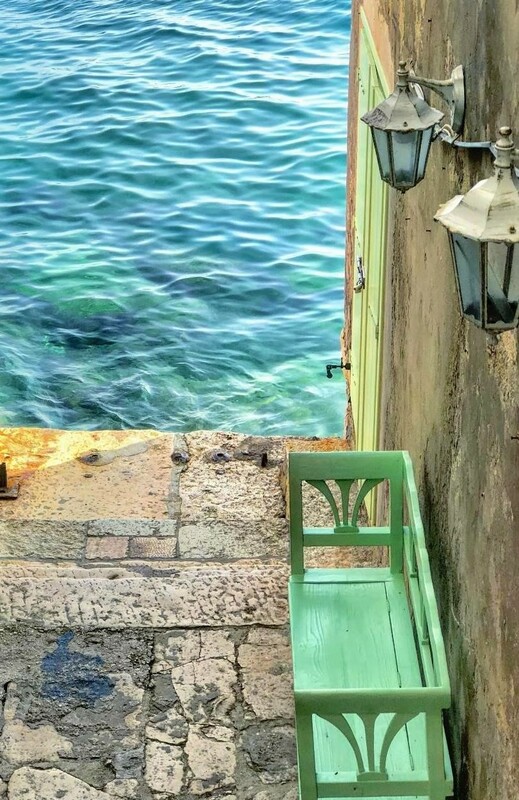 If Croatia is the kind of romantic getaway you are looking for, Rovinj may tick all the boxes for your idyllic escapade – it’s a beautiful city for indulging in seafood cuisine, cruising the Adriatic sea, and falling in love again. One visit is never enough. 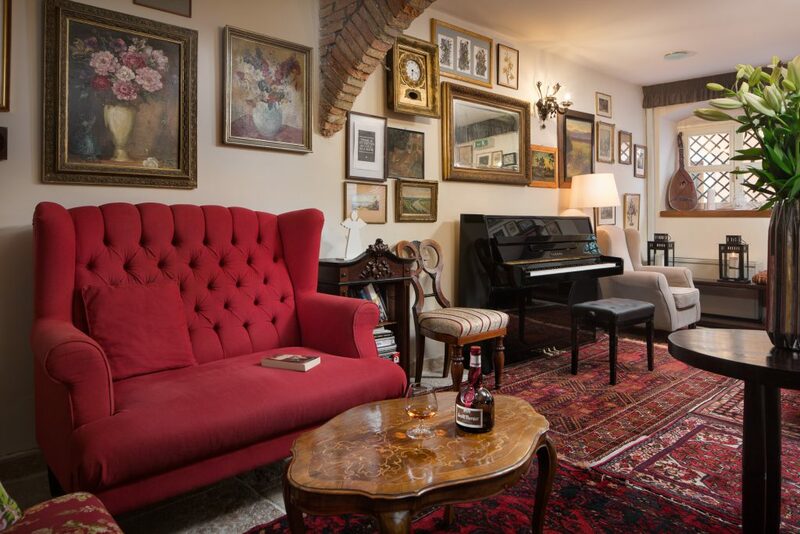 This is where many well-to-do Italians and Americans spend their summer and on arrival, you’ll understand why. The scenic town and port are dotted with pastel-colored buildings, noble cobblestones and lots of BLUE. 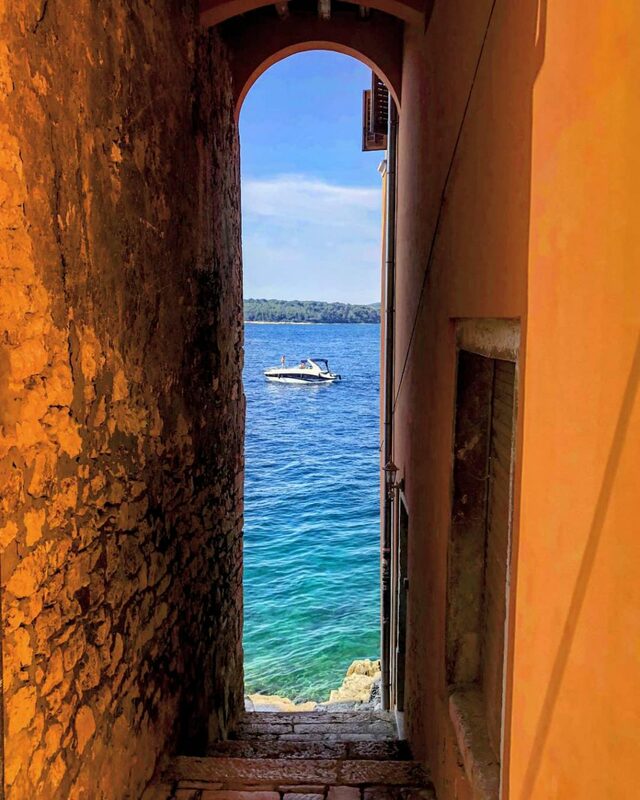 WHERE TO STAY: When looking for a hotel in a city like Rovinj, I believe that location is everything. Rovinj is small enough to discover everything on foot, so being centrally located is one of the biggest treats. 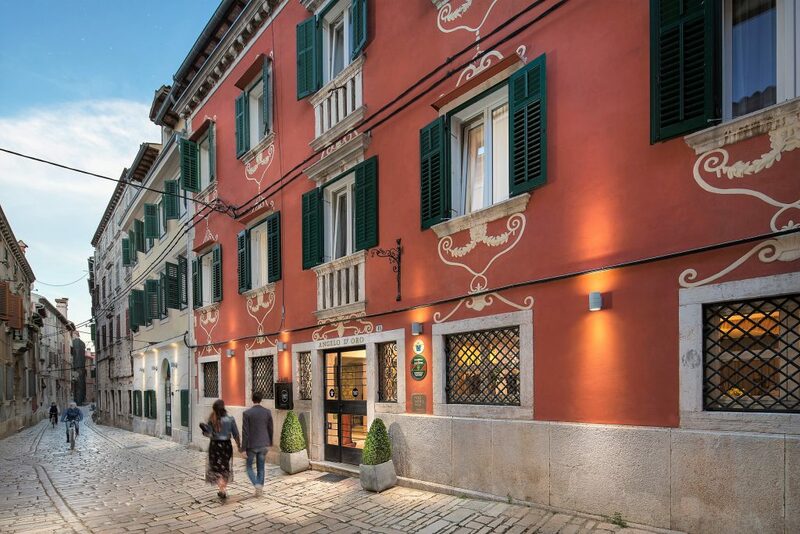 Angelo d’Oro Hotel – a proud member of Historic Hotels of Europe – is located in the historical centre, being the epitome of Istrian charm and style. Besides, its surroundings are like a fairytale – each small street tells a unique story. See? 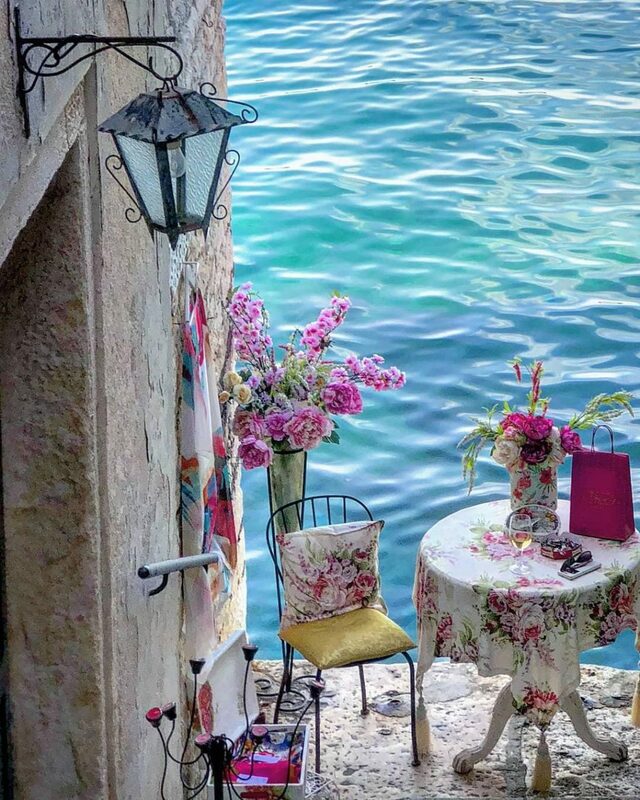 Rovinj’s magic is untouchable! And here you can savour the taste of unspoilt Istria and timeless traditions. Now let’s have a closer look at the charming hotel! Huge hotels are fine, but there’s no substitute for the personalized feel you get at a small cozy hotel. 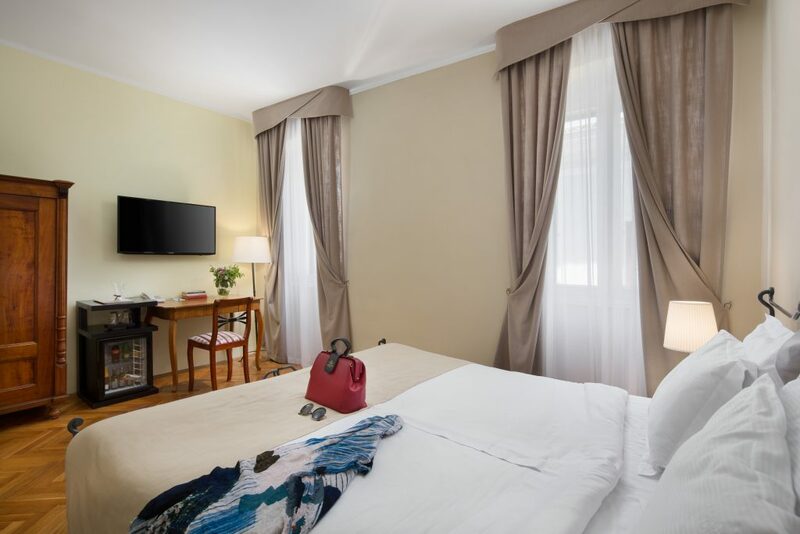 Angelo d’Oro has a real boutique feel as well as an enviable location close to St Euphemia church – it’s just steps away from Rovinj’s main square. 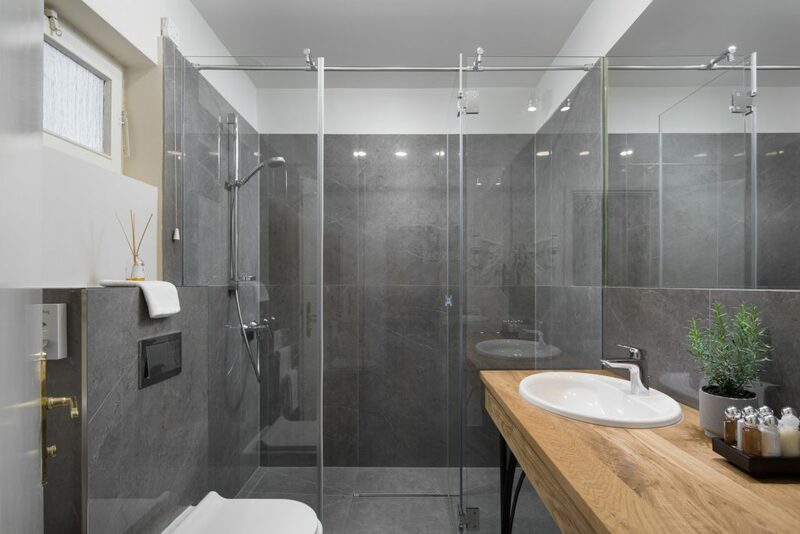 It offers quiet, understated luxury, and pets are welcome here! 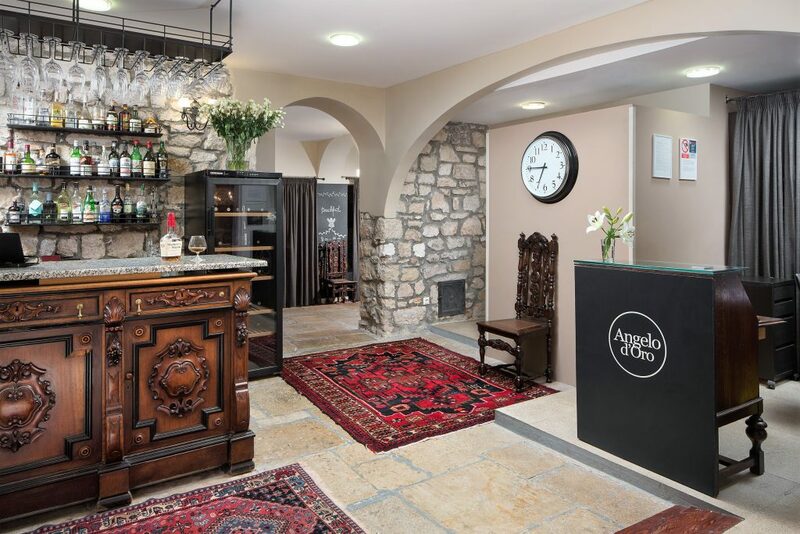 Stepping into the lobby of this charming property is like stepping back in time – carefully restored antique furniture, centuries old stone walls and exposed beams, classy lighting, all of them contribute to the cozy ambiance. In short, it’s the perfect place for heritage aficionados. 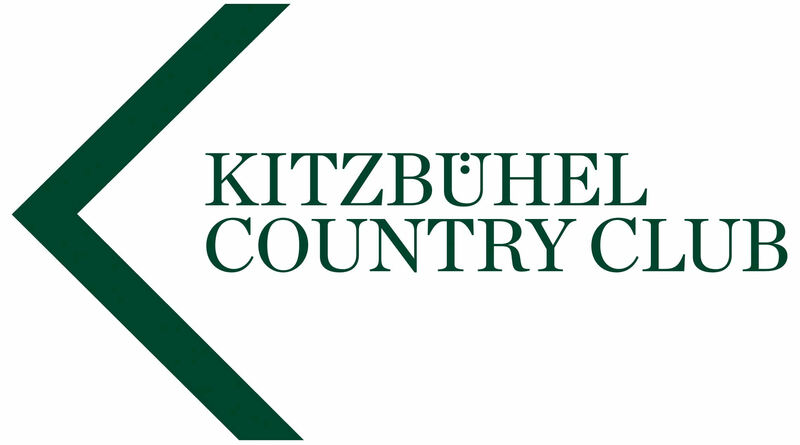 The hotel has something for everyone — families, business travelers or couples looking for a romantic getaway. To top it off, each guest is king and the staff always give the best to make the stay unforgettable. Marko Mohorovic, the General Manager, is the picture of Istrian hospitality – he will direct you away from the tourist traps of Rovinj over a glass of local wine, and his beach recommendations are excellent. GOOD TO KNOW: Angelo d’Oro is located in the no-car zone, so call in advance to arrange the pick up and shuttle service from their private parking to the hotel. There are just 27 rooms & suites here so it will never feel crowded. The rooms have big comfy beds, wall-mounted TVs and heavy wood drawers, containing fluffy bathrobes and slippers. Some of the rooms have big walk-in showers, others have classy bathtubs. Expect warm and soothing colours, and natural materials. 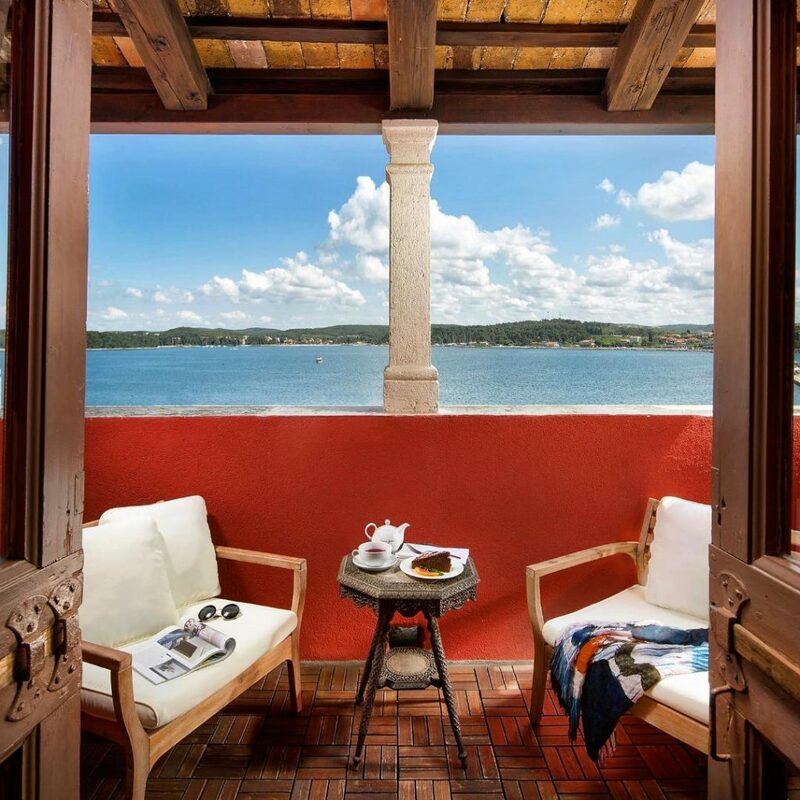 INSIDER TIP: If you dream of waking up to sea views, the Rooftop Suite is an excellent choice. 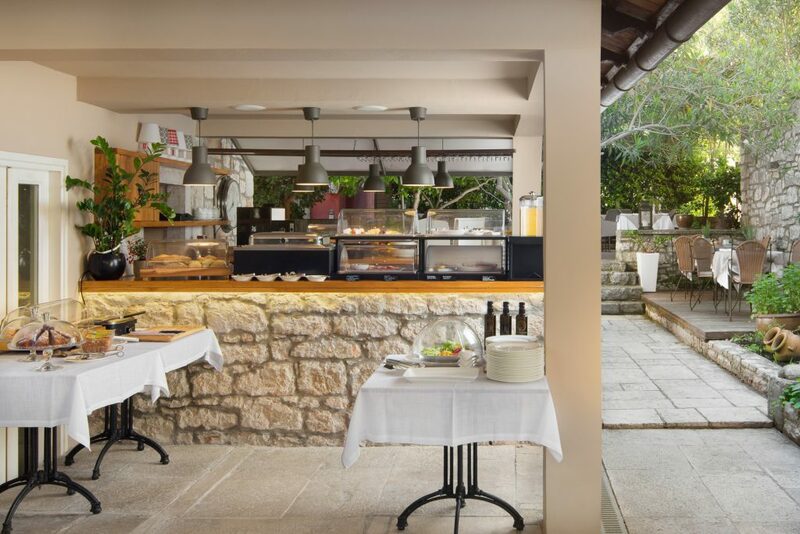 The buffet breakfast is a real pleasure and will set you up for the day with Istrian delicacies – olives, local ham and cheeses, sweet pastries, cereals, jams and fresh fruit. 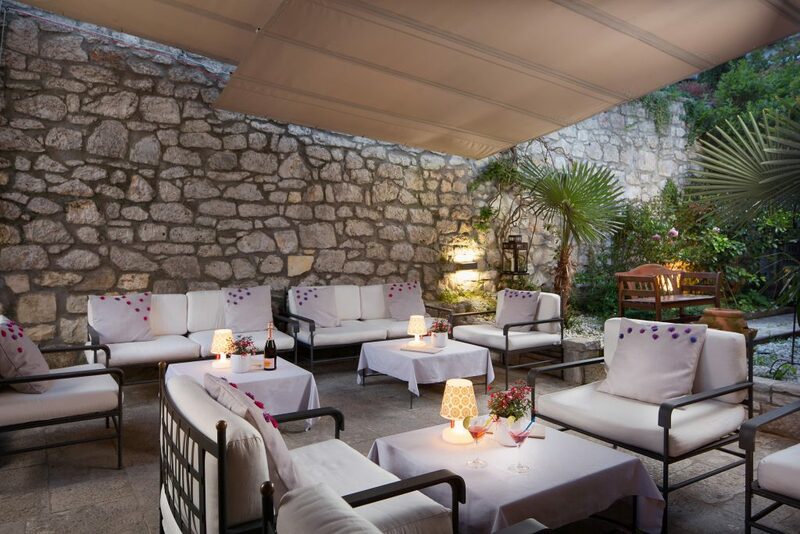 And the shaded courtyard is the perfect places to sip on a cold cocktail after a busy day spent discovering famous attractions or beautiful tiny islands. 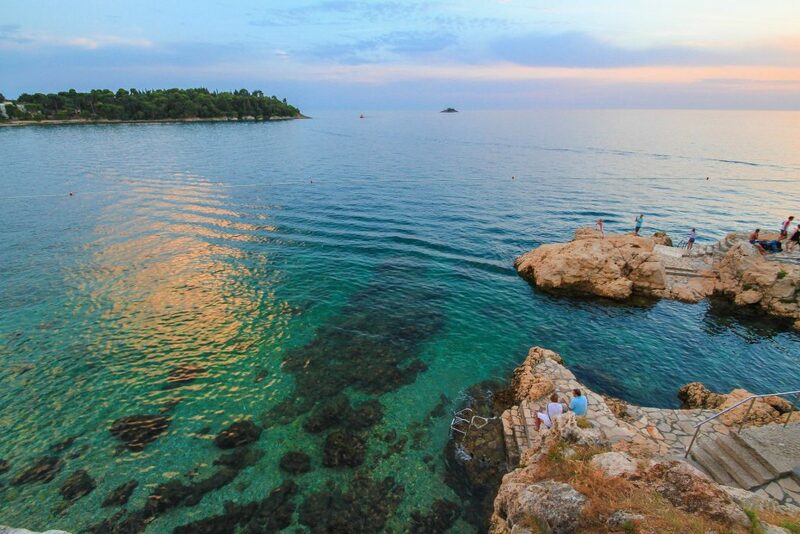 Enjoy a boat day on the Adriatic Sea, and relax in the sun – Rovinj boasts 22 small islands. So hire and skipper your own boat or book into an organized excursion. Make sure to stop on the Red Island, Crveni Otok – sunbathing and snorkeling are a must here, the beaches are just that: clean, pristine, and a million shades of turquoise. Whether you’re in the mood for comfy and casual or upscale and trendy restaurants, there are plenty of excellent options to try that will have your wallet feeling very happy. 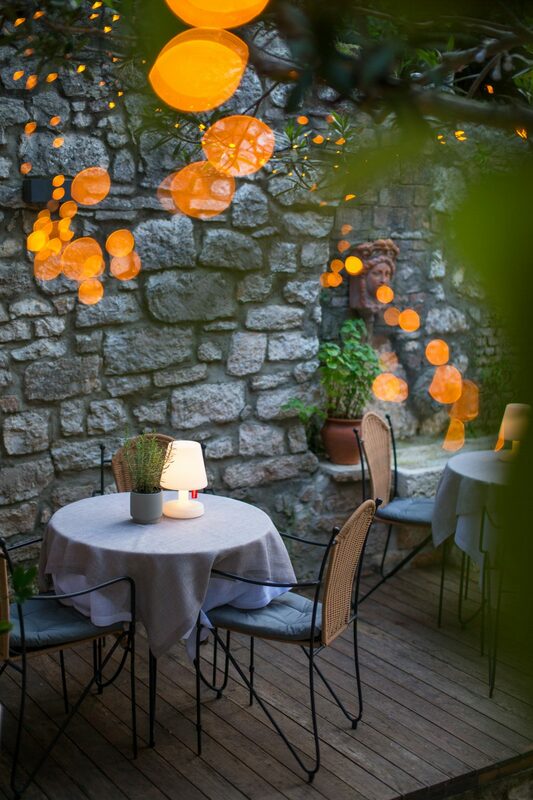 For dinner head to La Puntulina, actually one of the best seafood restaurants in Rovinj. Unlike the restaurants located in the main square that cater to tourists, the food here is unapologetically authentic. However, this restaurant is usually booked out so ask the hotel’s concierge to reserve a table in advance. Last but not least, don’t miss Maestral restaurant with views of St. Euphemia church. The waterfront restaurant features a splendid seafood menu with daily catch specials from local fisherman that will make your mouth water. Have mussels, grilled calamari, sea bass, and pair your dinner with a cold bottle of Malvazija (local wine) – I’ll toast to that! After dinner, be sure to sip on fancy drinks at the renowned Valentino Cocktail & Champagne Bar, a high-end waterfront location. The signature cocktails are worth the splurge – order a Bellini Lounge, kick back and listen to the latest chart toppers. 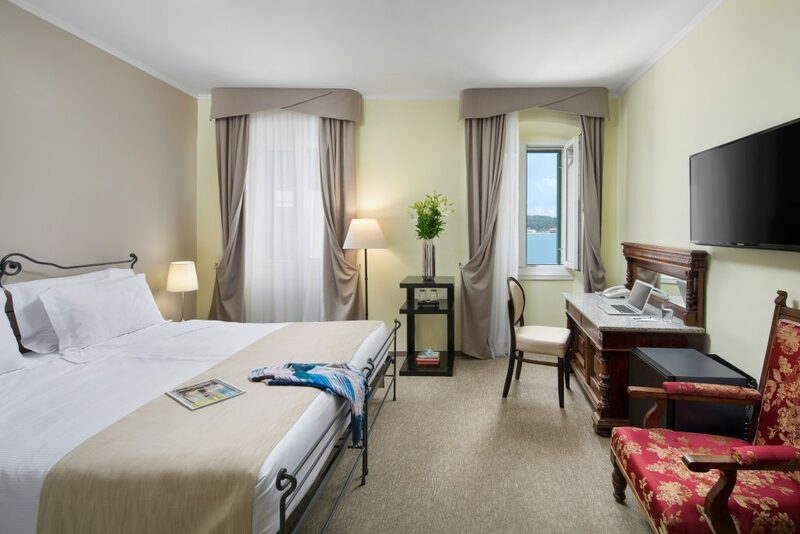 All in all, Angelo d’Oro Hotel is perfect for romantic breaks, foodie trips and a great base to explore Istria. 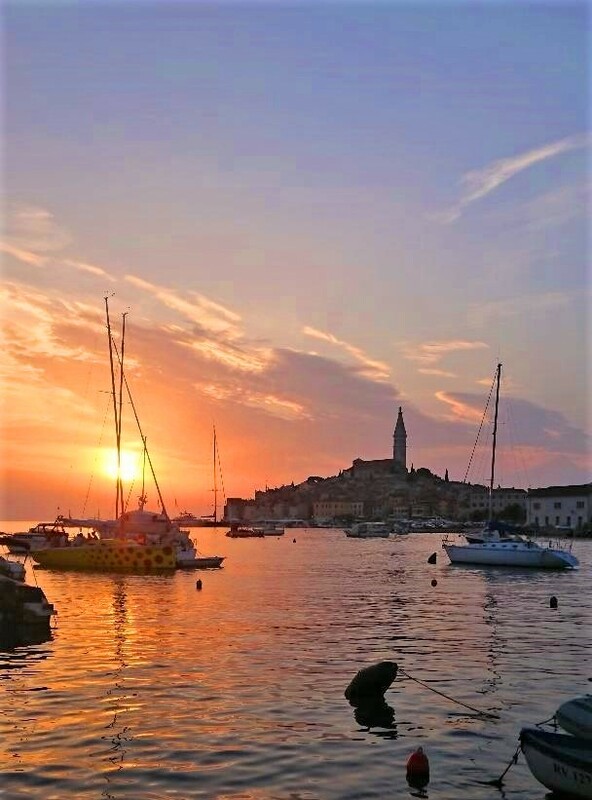 So don’t delay, pack your bags and head to Rovinj! 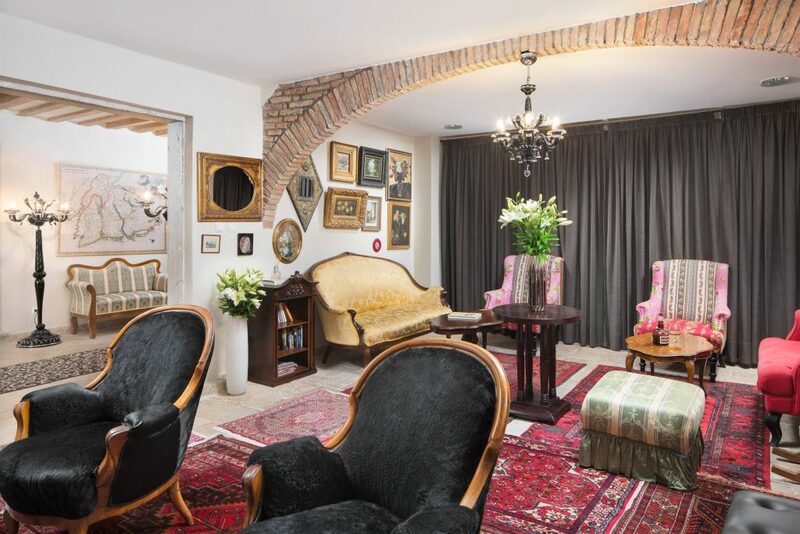 For further information, or to book, visit www.angelodoro.com and use EXPAT2018 code to get 10% discount on your stay. This offer is valid until end of 2018. Thank you to Angelo d’Oro Hotel for making us so welcome and comfortable, we hope we’ll be back one day! Opinions are, as always, my own.